For Niko Bellic, fresh off the boat from Europe, it is the hope he can escape his past. For his cousin, Roman, it is the vision that together they can find fortune in Liberty City, gateway to the land of opportunity. As they slip into debt and are dragged into a criminal underworld by a series of shysters, thieves and sociopaths, they discover that the reality is very different from the dream in a city that worships money and status, and is heaven for those who have them and a living nightmare for those who don’t. Beginning with the 1997 release of the original Grand Theft Auto, the GTA series has been one of the most prolific, controversial and down right entertaining franchises in video games history. 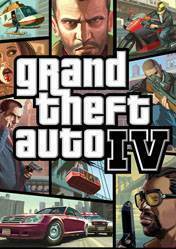 This pedigree of success guarantees that the highly anticipated eleventh game in the series, Grand Theft Auto IV, will garner at least as much attention if not more. Great game in the GTA series !